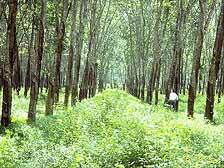 On a worldwide scale, more than 40 percent of the rubber used in industry comes from nature. Natural rubber is a fascinating material which can be used in versatile applications. It requires specialists with experience and a high level of expertise. We're strong - because our company deals with this incomparable natural product for about 140 years. Through regular trips to the supplier countries, we constantly keep contact with almost all major producers. Checking incoming goods, we have a wide knowledge about the quality of our products. Here, our technical department provides valuable assistance with experienced chemists and chemical engineers, and can assist when it comes to the selection of the right qualities for your individual applications. 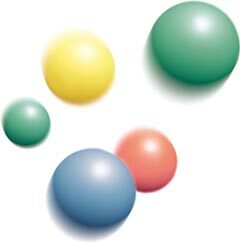 WEBER & SCHAER works closely together with a network of selected rubber producers. Regular communication with manufacturers, we ensure the quality of natural rubber and get direct access to new developments. This knowledge we share with our customers. Our extensive stock of the entire range ensure the indispensable availability of this natural product as the production is subject to seasonal fluctuations and a transit time of 4-5 weeks is needed for arrivals in Europe. As one of the leading importers of natural latex in Europe, we have a strong expertise in this area as well. As a matter of course, we provide appropriate quantities in our storage tanks in Hamburg. 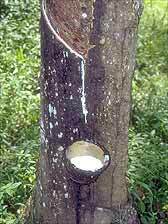 In addition to the common natural rubber and Latex grades we offer pre-crosslinked and grafted varieties of natural rubber and latex.